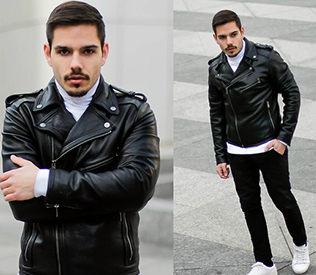 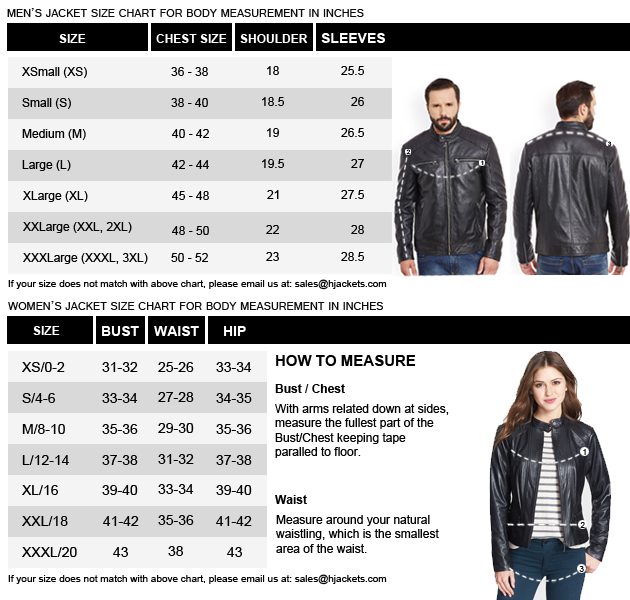 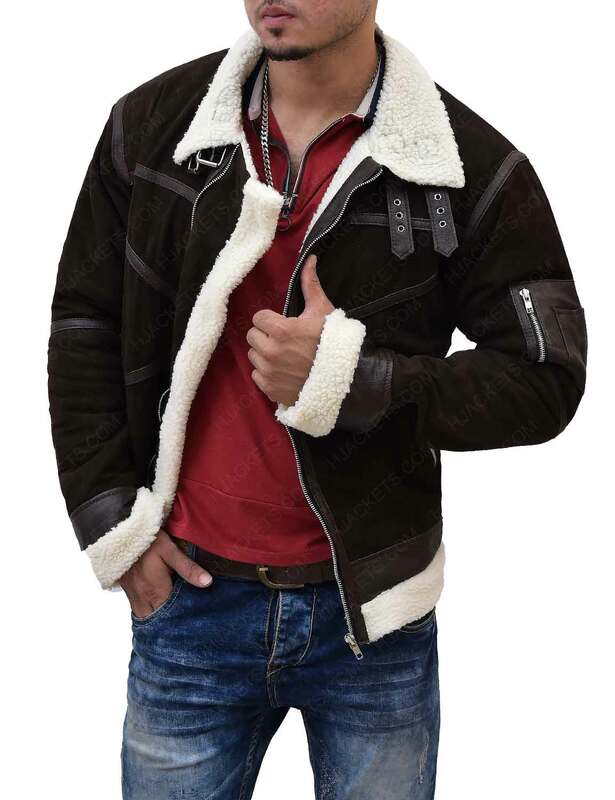 You are looking towards a heartwarming suede leather jacket that enriches in an elegant aristocrat gesture for 24/7 in-style males. 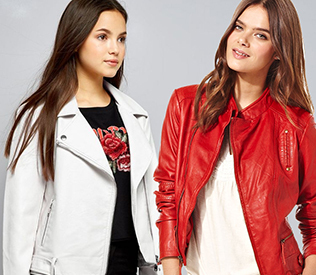 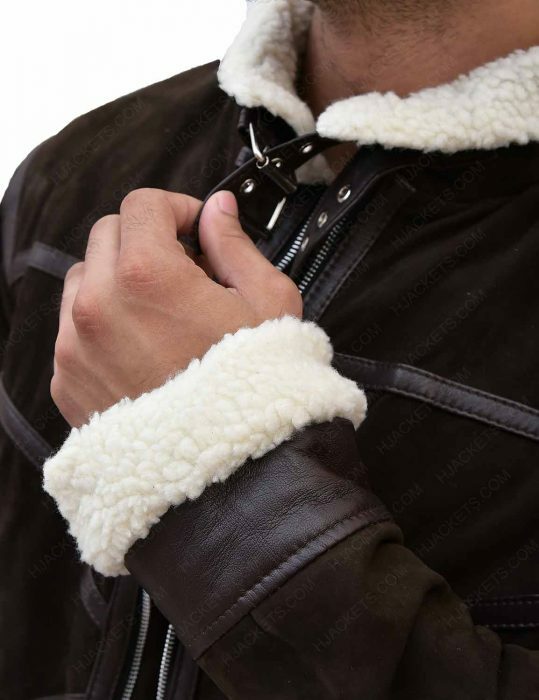 Specifically, this 50 cent Power Jacket is a pronouncing friend-budget fabrication embellished with deep-seated leather lines and calm elated in with an inner shearling faux. 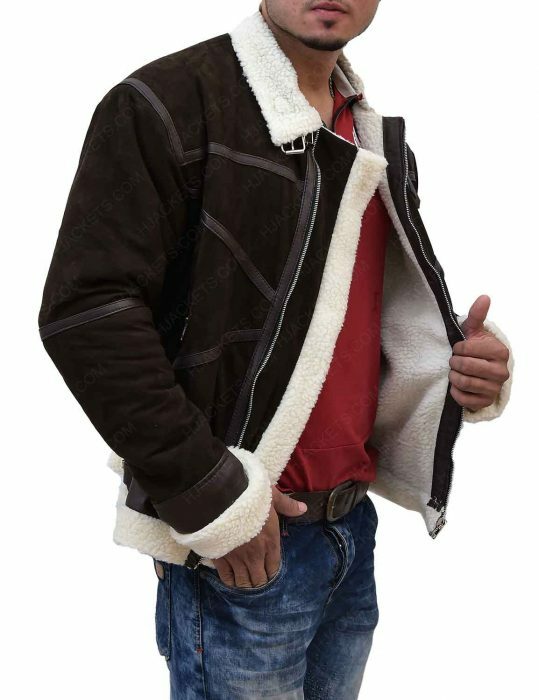 Charging up with topnotch socialite standards and outfit appropriate postures, the Power 50 Cent Brown Shearling Jacket is a feasible body adjuster, keeping you warm at all times. 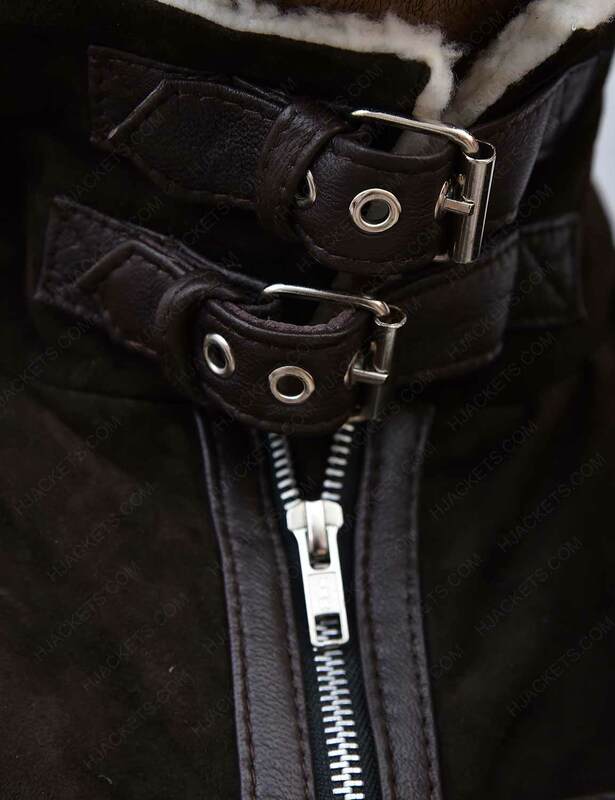 A double belt fastening is adjusted to a secluded stand collar so that you could enjoy your neck properness accordingly. 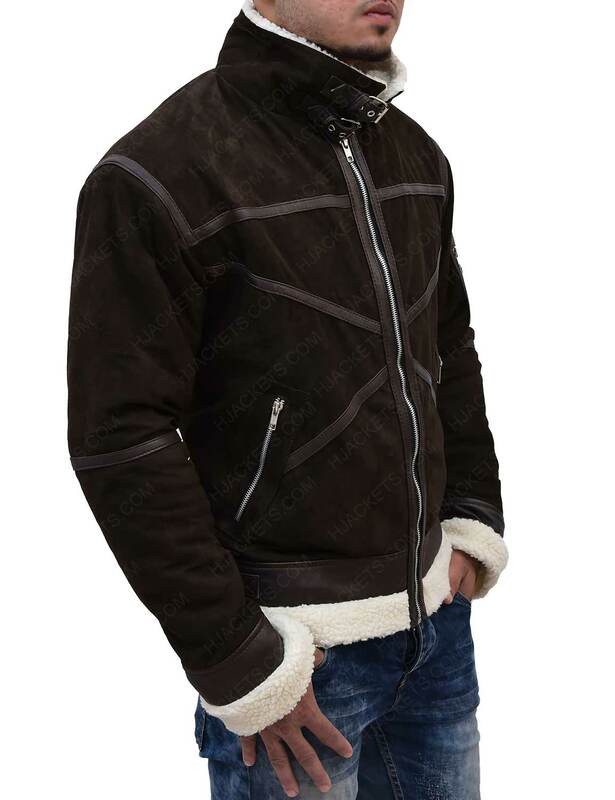 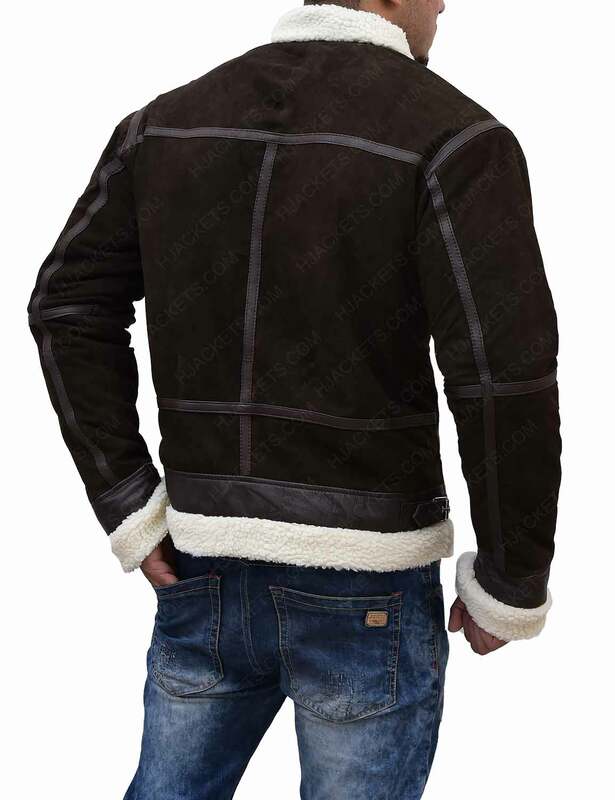 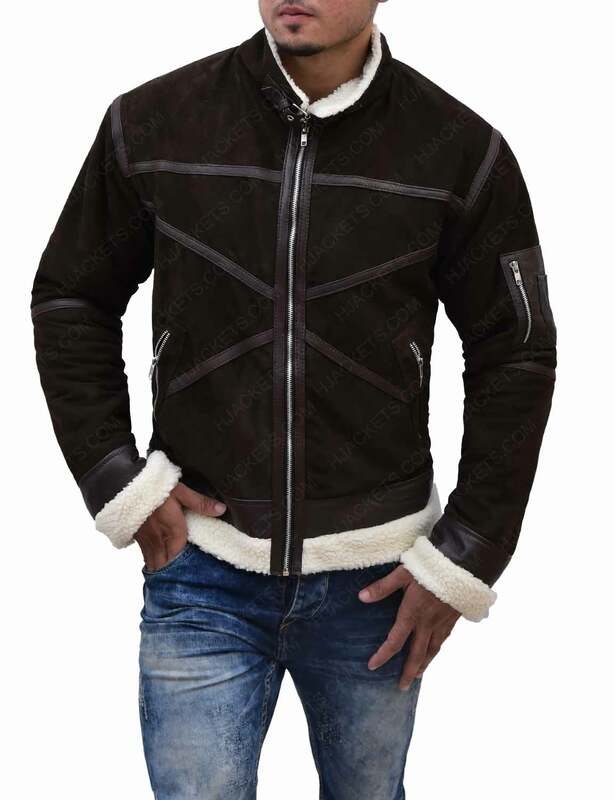 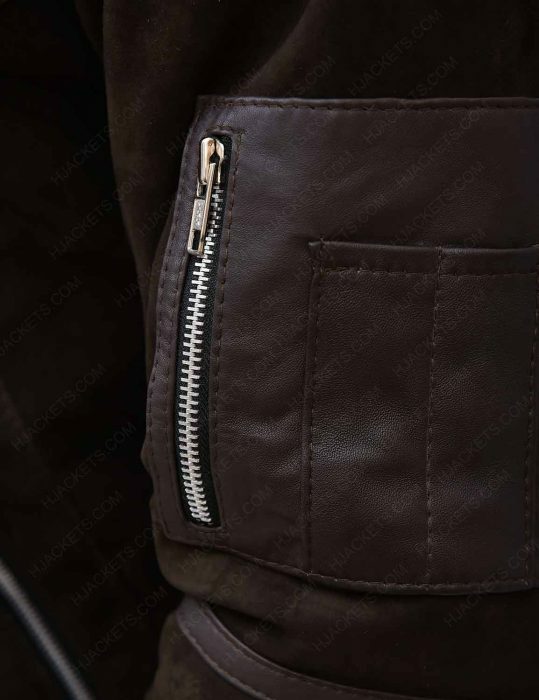 A few other distinct factors applied to this Power 50 Cent Brown Jacket includes a YKK zipper glider on the front, shearling cuffs and slanting waist zipper cossets to keep your necessary objects always at a hands reach. A grab that won’t let your money go in despair. 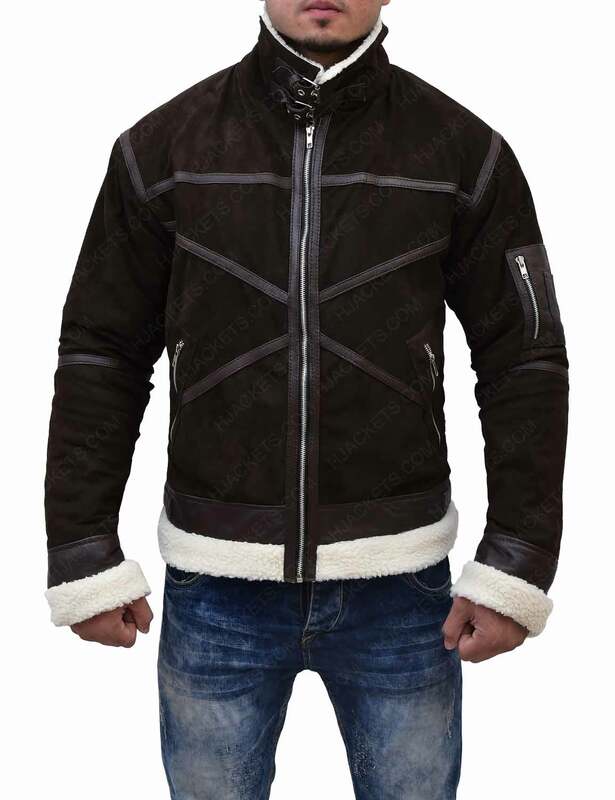 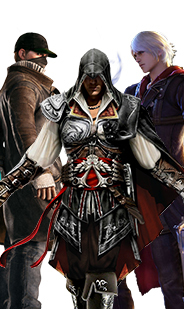 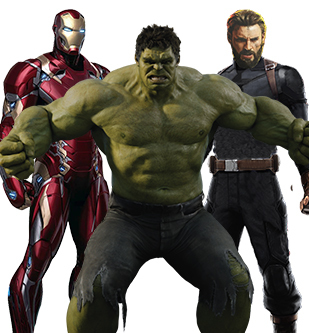 Rather you’ll appreciate the attire wholeheartedly.